Born Isabelle Clara McElwain, Greene was raised in Pasadena, California, and was exposed to architecture as a child, through her maternal grandfather, Henry Mather Greene (1870-1954), who, along with his brother, Charles Sumner Greene (1868-1957), created some of the most significant Arts and Crafts homes of the era. After graduating with a B.A. in taxonomic botany in 1956 at the University of California, Los Angeles (UCLA), Isabelle Greene worked as a botanical illustrator from 1957 to 1965. She pursued a second B.A. in art with an emphasis on painting at the University of California, Santa Barbara (UCSB), from 1965 to 1969. In 1966, she began studying landscape design at UCSB’s extension program, finally completing her coursework at the University of Oregon in 1976. She then interned with landscape architect Michael Wheelwright until 1982. 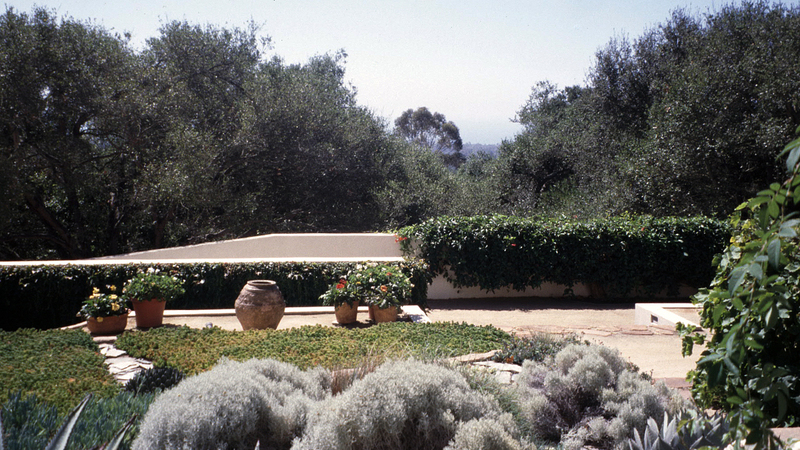 That year, she registered as a landscape architect in California and launched her firm, Isabelle Greene & Associates. 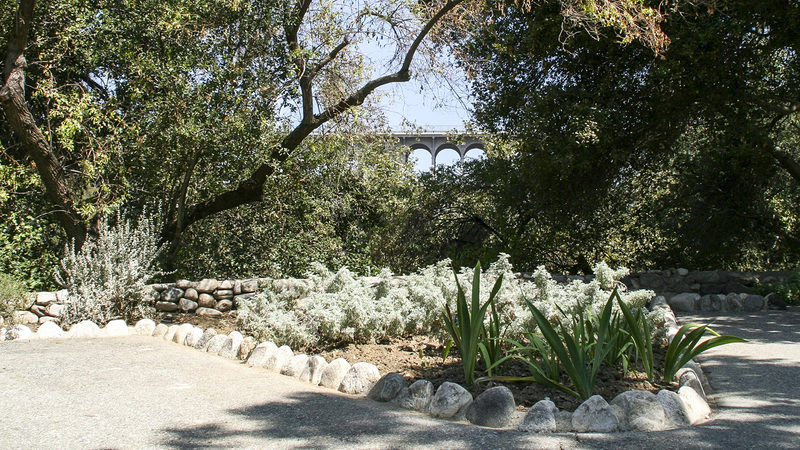 Greene built a reputation using her artistic skills and working with the geography and plant materials of arid Southern California. Most of her projects are residential, with her most significant public gardens dating from the 1980s. 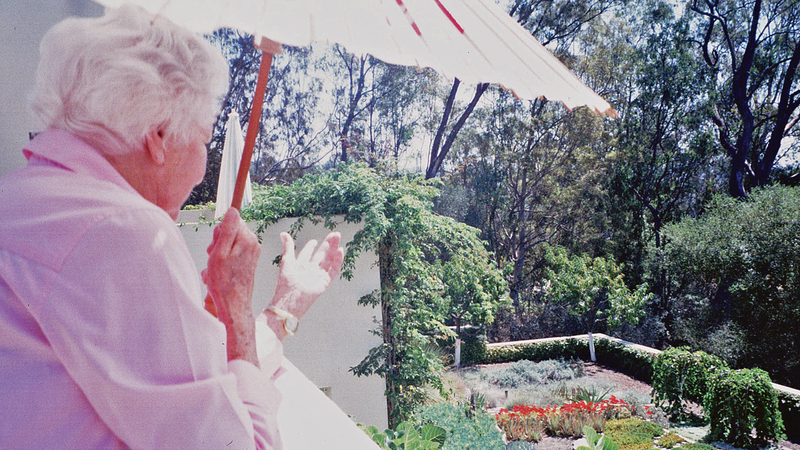 She designed demonstration gardens with Pasadena landscape architect Yosh Befu for La Casita del Arroyo in 1981; a two-acre Modernist landscape for Carol Valentine in Santa Barbara from 1982 to 1984; and the renovation of the Theatre Garden at Ganna Walska’s Lotusland estate in Santa Barbara in 1986. She was invited to create the Silver Garden for a permanent display in the West Conservatory complex at Longwood Gardens in Kennett Square, Pennsylvania, in 1987. Greene became a Fellow of the American Society of Landscape Architects in 1999, and the University Art Museum (now the Art, Design & Art Museum) at UCSB organized an exhibition of her work, Isabelle Greene: Shaping Place in the Landscape, in 2005. Although past her retirement age, she maintains an active practice in Santa Barbara. Born Isabelle Clara McElwain in 1934, Greene grew up in Pasadena, California, surrounded by the dry landscape of Southern California’s arroyos and foothills. As a child she played in the Pasadena Arroyo and hiked in the San Gabriel Mountains. These landscapes, along with the coastal ranges of the Santa Barbara area, would later shape her landscape designs. In her early years Greene was exposed to architecture through her maternal grandfather Henry Mather Greene, and his brother, Charles Sumner Greene, architects working as Greene and Greene who crafted some of the most significant Arts and Crafts homes of the era. Her grandfather encouraged her love of drawing, and Greene knew well the house he had designed for his family in Altadena. In the 1960s, after divorcing her first husband, Greene adopted her grandfather’s name, later using it in the founding of her own firm, Isabelle Greene & Associates, Inc.
Greene was trained as a botanist and an artist, both disciplines equally informing her landscape designs. She studied taxonomic botany at the University of California at Los Angeles (UCLA) — the botanist Mildred Mathias was one of her teachers — and graduated with a B.A. in 1956. That same year she married J. Robert Haller, a botanist, plant geographer, and Ph.D. candidate at UCLA. In 1957 she and Haller moved to Santa Barbara where Haller took a teaching position at University of California, Santa Barbara. Between 1957 and 1965, Greene worked as a botanical illustrator for Haller’s publications and those of other botanists. Mildred Mathias was responsible for the inclusion of several of Greene’s botanical drawings in Carnegie Mellon’s First International Exhibition of Botanical Art and Illustration at the Hunt Botanical Library (now the Hunt Institute) in 1964. After seeing her own drawings on display at Carnegie Mellon, Greene decided to enroll in studio art classes at the University of California, Santa Barbara, between 1965 and 1969, working toward a second B.A. in art with an emphasis on painting. 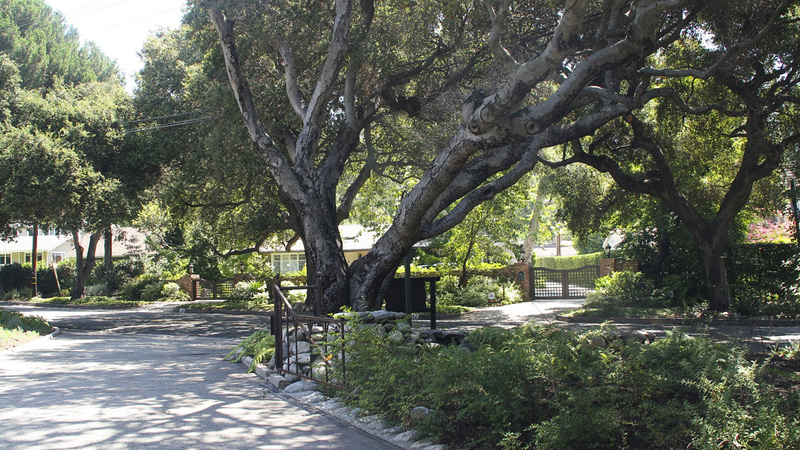 In 1963, Greene was offered the opportunity to design the landscape for a psychiatric clinic in Santa Barbara. The design was completed and implemented within a year, and in 1965 she won a Santa Barbara Beautiful Award for the commission. 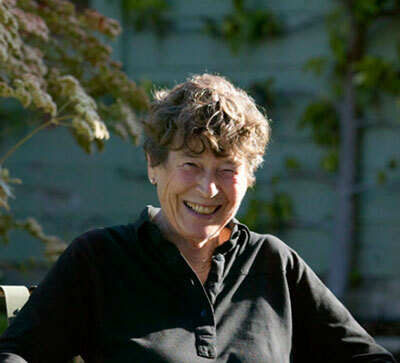 Although she began working as a landscape designer in 1964, she took her first class in professional landscaping in 1966, through the extension program of the University of California, Santa Barbara. She continued both in practice and in formal education, completing coursework in landscape design and site analysis at the University of Oregon in Eugene in 1976. She then began a professional association with landscape architect Michael Wheelwright that lasted until 1982. That same year she received a certificate in landscape architecture through the UCLA extension program, passed the licensure exams to become a registered landscape architect in California, and started her own firm. Greene built a practice and reputation working with the geography and plant materials of the dry Southern California climate. Most of her nearly 600 projects have been residential designs, while her most significant public gardens date from the 1980s. 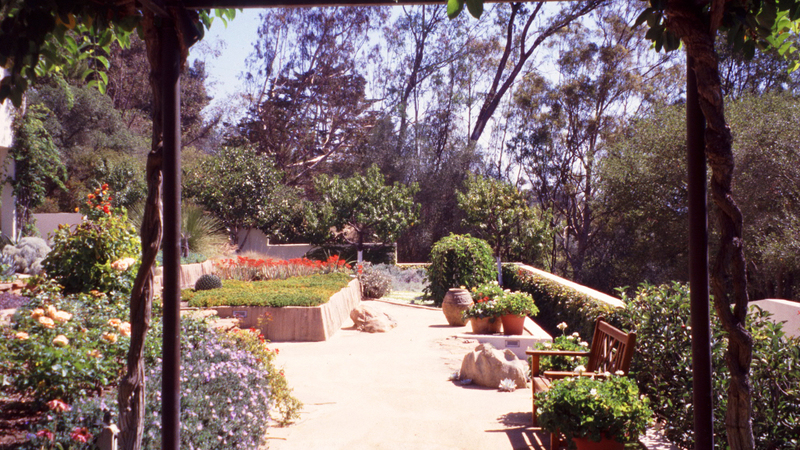 She designed demonstration gardens with the Pasadena landscape architect Yosh Befu for the Pasadena Garden Club’s La Casita del Arroyo in 1981. 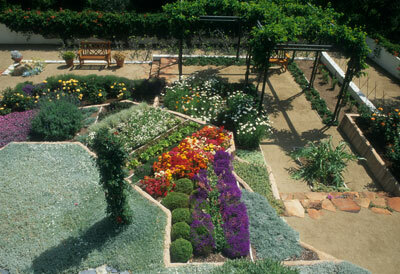 In 1986 Greene renovated the Theatre Garden at Ganna Walska's Lotusland estate in Santa Barbara. Known for her expertise in Mediterranean plants, Greene was invited the following year to create a Silver Garden for a dry Mediterranean climate display in the West Conservatory complex at Longwood Gardens in Pennsylvania. 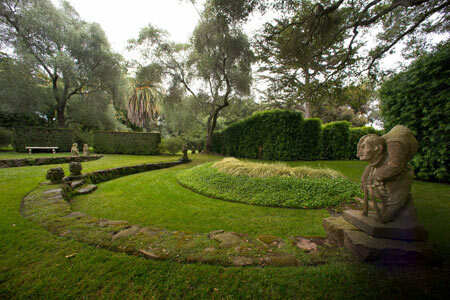 One of Greene’s most important and longest lasting projects is the Lovelace garden, located on six acres of oak woodlands in Montecito, California. In 1972 the Lovelaces asked Greene to design a swimming pool for their house, which was designed by George Washington Smith in 1923. 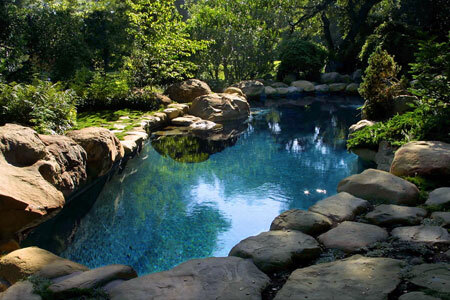 Greene’s pool was shaped by outlining the drip lines of the surrounding oaks and framed with boulders from the site. Her collaboration with the Lovelaces has continued for more than 40 years, designing new features, adding planting and play areas, a teahouse (with architect Andy Neumann), and a carport among other amenities. A very different landscape is reflected in the rigorously Modernist design that Greene created for Carol Valentine. The commission began in 1982, a period of drought in Southern California. The Santa Barbara architect Paul Gray of Warner & Gray had designed a modern house with slight Spanish inflections for Valentine on a two-acre south-facing, steep, and rocky site. Greene’s landscape is meant to be seen from above in the way one views the ground from an airplane. Completed in 1984, the garden has been widely published. Greene became a Fellow of the American Society of Landscape Architects in 1999 and received an Award of Distinction from the Association of Professional Landscape Designers in 2009. The University Art Museum at the University of California, Santa Barbara, organized an exhibition of Greene’s work in 2005. Isabelle Greene: Shaping Place in the Landscape had an accompanying catalogue as well as a temporary landscape created and installed by Greene inside the Museum’s galleries. Chase, John. “Artistic Earthscape: the Native Palette, Artfully Applied,” Landscape Architecture 79 (June 1989): 64-68. Helfrich, Kurt, ed. Isabelle Greene: Shaping Place in the Landscape. Santa Barbara: University Art Museum, University of California, 2005. Muller, Walter H. Botany, a Functional Approach. New York: McMillan, 1963. The botanical illustrations are by Isabelle Haller (Greene). Power, Nancy Goslee. 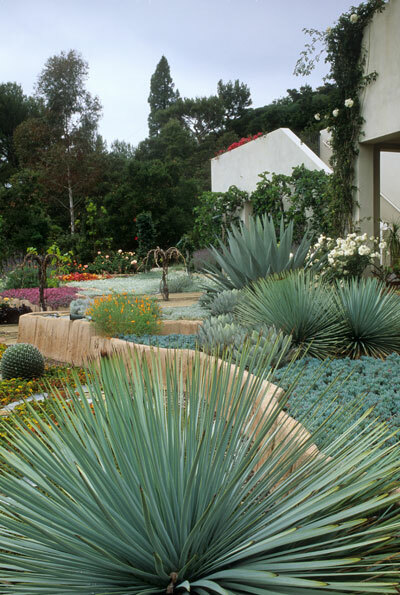 Gardens of California: Four Centuries of Design from Mission to Modern. New York: Clarkson Potter Publishers, 1995.